The Bank of Canada is looking for a new face to display on a bank note, and it's relying on the expertise of one UNB professor. 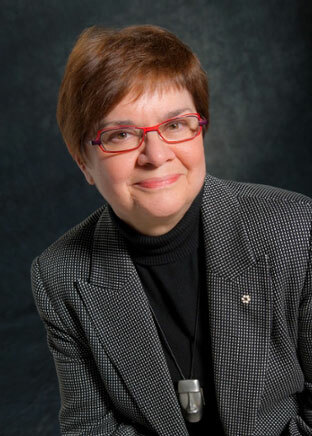 Margaret Conrad, professor emerita at UNB, is one of seven on an advisory panel tasked with choosing five to seven women who could be on a newly designed Canadian bank note. Dr. Conrad, a historian specializing in Canadian history and women’s studies, was asked to join the panel when Merna Forster, who began the petition to put a woman on a bank note, suggested her as an advisor. Dr. Conrad is an Officer of the Order of Canada and has written 16 textbooks on Canadian history. “I have a long CV but I’m excited to learn more about the lesser-known women who have shaped our country,” Dr. Conrad said. The public has until April 15 to make submissions, at which point the panel will have to narrow down the names to a long list for a public vote. From there, a short list of five to seven names will be submitted to federal Finance Minister Bill Morneau. The guidelines are loose. A candidate must be dead for at least 25 years and cannot be a fictional person. She should have made a major contribution to Canadian life. The woman could come from the world of politics, sports, or arts, among others. Names like women’s rights activist Nellie McClung, civil rights leader Viola Desmond, and athlete Bobbie Rosenfeld have already been discussed as potential candidates. Dr. Conrad is no stranger to this type of work. She’s been on countless panels and councils before, most recently helping plan the 100th anniversary of the women’s right to vote federally, scheduled for 2018. Dr. Conrad said she’s heard concerns people should be focused on more important issues. “It’s not either/or,” she said. “We can have both. Many of the symbolic figures, whether it’s sports, politics, and so on, are men. Having a woman on our money would be symbolic in its own right. The announcement will get people talking about the significance of equal representation, according to Dr. Conrad. As for whom she would potentially like to see on her money, Dr. Conrad is keeping mum.